My iPhone 6S was broken, how can I retrieve photos from broken iPhone? We know this awkward situation where you broken your iPhone and can't access the data on iPhone. What should you do? Is it possible to get back the photos from te broken iPhone? Well, actually you could make use of your iTunes or iCloud backup in case of broken, crashed or damaged iPhone. You are right, you can restore the data from your backup files. But how to preview and selectively recover photos from iTunes or iCloud backup? That's what this article going to tell you! But what if you didn't have backup on iTunes or iCloud? Don't worry! We will also show you how to recover photos from broken iPhone without backup in Part 3 in this article. iSkysoft Toolbox - iOS Data Recovery is an ultimate tool to retrieve photos from your damaged iPhone 4/5/5S/5C/6/6S/7/7/8/X. 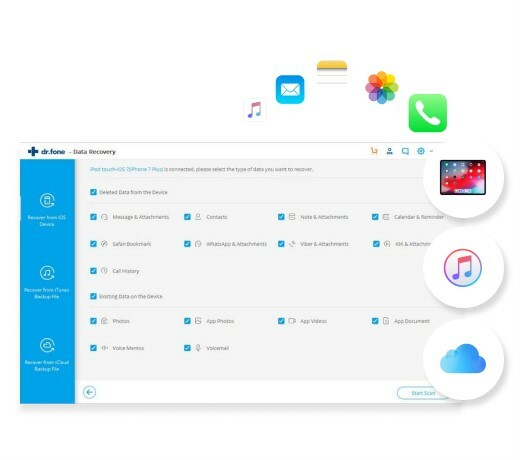 With its selective recovery of photos from iTunes and iCloud backup you could extract files quickly without any issues. 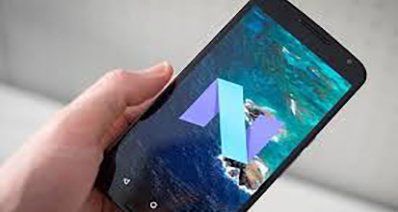 You just need to follow its 3 step recovery process which is Scan-Preview-Recover. This tool is specialized in data recovery and backup of files. Recovery of upto 20 file types: Photos, Contacts, Call History, Reminders, Messages, Calendar and much more. Quick Scan and Preview: Allows recovery of files from direct scanning from iTunes or iCloud backup. You could also preview photos before recovery. Easy Recovery of Data from iTunes & iCloud backup: Supports selective recovery of iPhone photos from iTunes and iCloud backup. 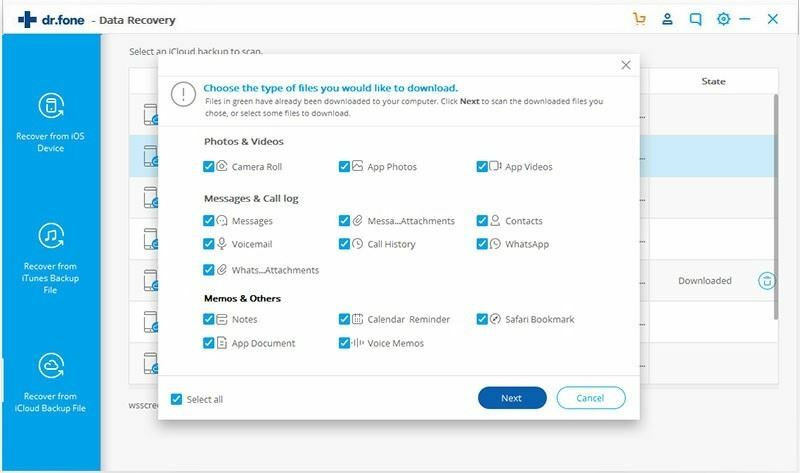 3 Steps Recovery: Scan, Preview and Save Photos in your computer or Mac. Supported OS: iSkysoft Toolbox - iOS Data Recovery is compatible with all Windows and Mac OS X including Windows 10 and macOS Sierra. 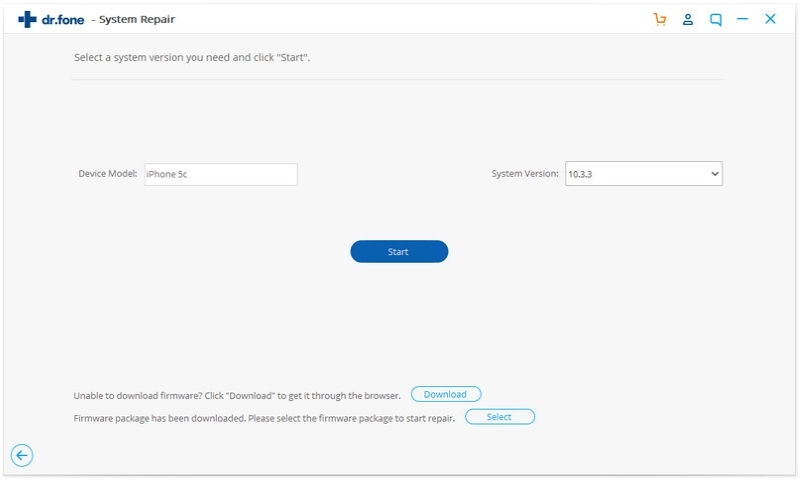 Download and launch iSkysoft Toolbox on your computer. Select "Recover from iCloud Backup Files" mode after you click "Data Recovery" menu from main window. 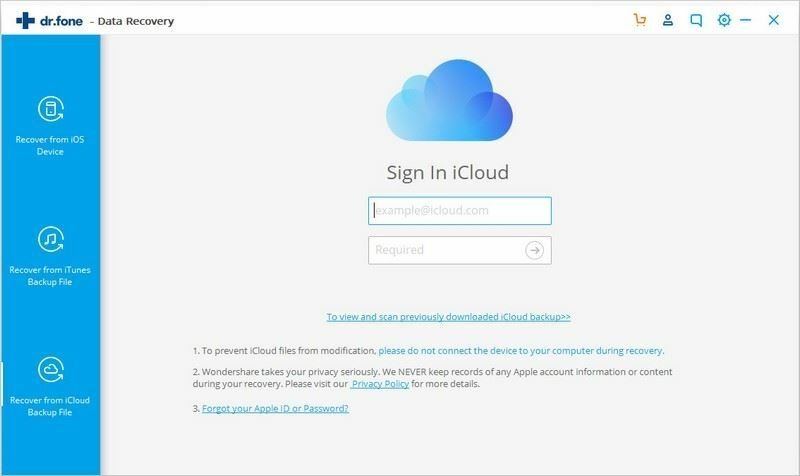 Sign in your iCloud account with proper credentials. 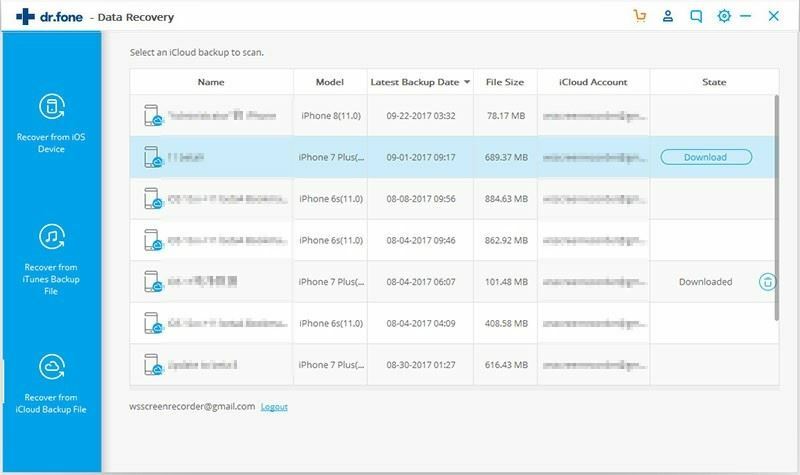 It will display all the backup files from your iCloud backup. Choose the one which consists of Photos and click "Download". Click "Next" button in the pop-up window after you choose the file types. To recover photos from broken iPhone, you need to check "Camera Roll" in this step. Preview the photos which were extracted and mark them one by one. Select "Recover to Computer" to save the photos in your computer. This will require you to connect your iPhone to the computer. Open iSkysoft Toolbox - iOS Data Recovery and select "Recover from iTunes Backup Files" from the window of "Data Recovery" menu. It will display all the iTunes backup files in your computer. Choose the file which consists of all the photos and click "Start Scan". It will begin the scanning process and extract photos from iTunes backup. The scanning process will take only few seconds and then you could preview photos to perform selective recovery of data. Mack them and click "Export to Mac" to save the selected photos in a file location of the PC. 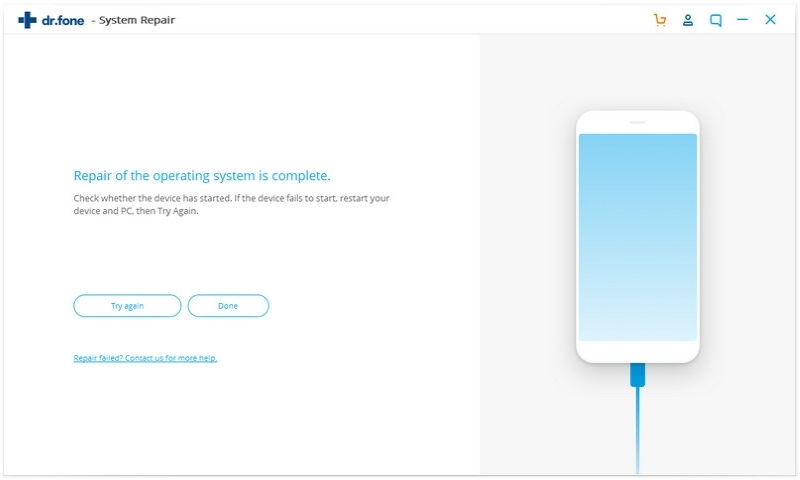 iSkysoft Toolbox - iOS System Recovery is another subfunction in iSkysoft Toolbox which provides easy solution to restore your iPhone to normal mode. You data will be saft on your iPhone when you successfully fix your broken iPhone with iSkysoft Toolbox. Follow these steps to fix your iPhone device. Select "System Recovery" menu from the main windows of this toolbox and plug-in your iPhone to the PC. Click "Start" to begin the recovery process. Now you have to download a firmware for your iPhone. The iSkysoft Toolbox - iOS System Recovery will display latest iOS version for quick download. 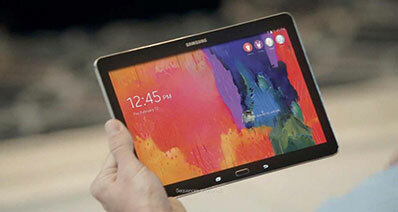 Just click the "Download" button to install or upgrade the firmware. 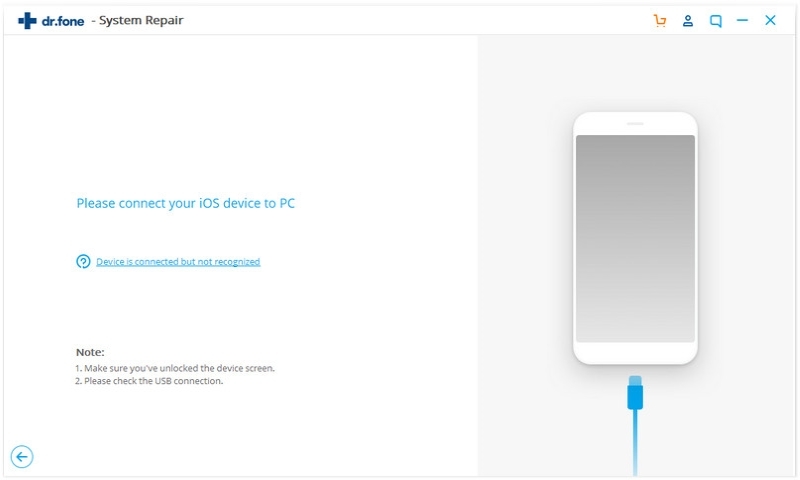 When the download is over, iSkysoft will repair your iPhone. This step could take few minutes. After recovery it will show that your iPhone has changed to normal mode. 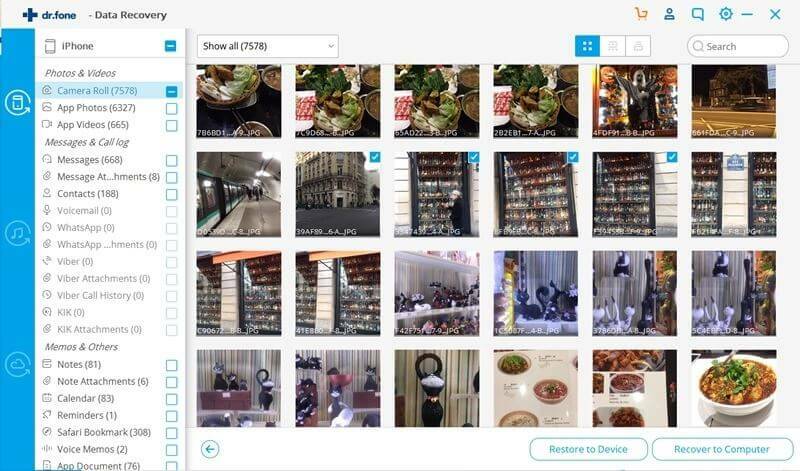 Now you got your photos and other files on your iPhone again!